Texas A&M University took its right to wonder cosmic in 2004, becoming a founding partner in the Giant Magellan Telescope and officially launching a first-rate astronomy program that was recognized in 2015 with selection to the prestigious Association of Universities for Research in Astronomy (AURA). Although the program instantly became established on the international research scene with that $1.25 million lead gift from Texas businessman and global energy pioneer George P. Mitchell ’40, it hadn’t truly arrived in one universally critical aspect: academics. That big moment came earlier this year when the Texas Higher Education Coordinating Board (THECB) unanimously approved Texas A&M’s graduate degree program in astronomy. Texas A&M astronomer and program director Nick Suntzeff was present at that meeting and recapped the historic event for his colleagues in the following email message capturing his stream-of-consciousness euphoria and heartfelt gratitude for all those who worked so hard to pave the way for an astronomically brighter future in Aggieland and across the Lone Star State. I’ll let Nick take it from here! Today, at around 2:30 p.m., the Texas Higher Education Coordinating Board voted unanimously to allow Texas A&M, through the Dept of Physics and Astronomy, to grant MS and PhD degrees in Astronomy. We are now the second public university in Texas to have a PhD program in astronomy. The ability to grant these degrees at A&M will be effective in only a few days. There are forms to be sent to the Provost, but that is all pro forma because she supports the program. The THECB did not debate the program — they adopted it without discussion and gave it a unanimous vote. Two of the THECB members looked at me and smiled, obviously pleased with the outcome. This was the last big piece in the creation of an astronomy program that was started ten years ago. There are a number of people to thank. 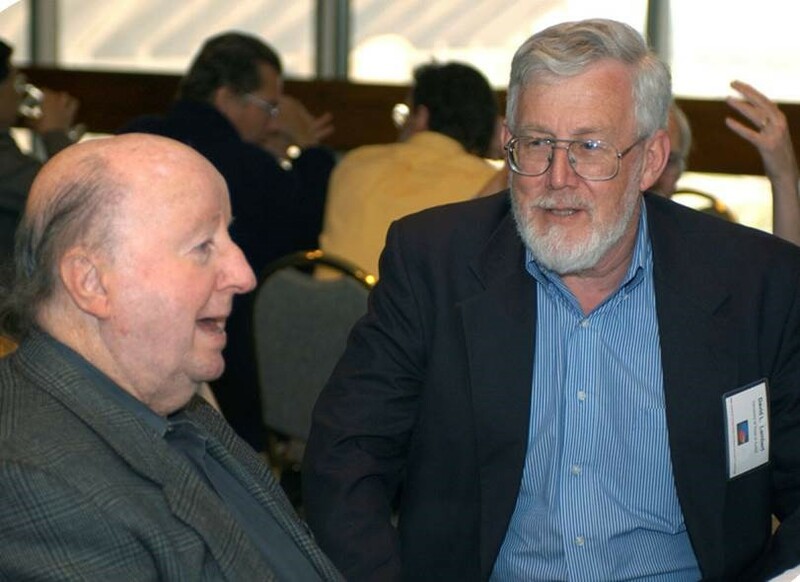 George Welch and Ed Fry, as department heads, have supported and encouraged the creation of the program and degrees. Dean Joe Newton also has been a tireless supporter of our efforts, and deserves our thanks. Provost Karan Watson, who knew how the THECB worked, paced the application process to allow all details be sorted out with staff at the THECB, such that there was little doubt that the program would be approved. Joe Pettibon, the Associate Vice President for Academic Affairs in the Provost’s office, was our point person in the final application process. Astronomy before I came was headed by an Astronomy Committee who were committed to bringing astronomy to A&M. The 2003 members were Fry, [Richard] Arnowitt, [George] Kattawar, [Robert] Webb, and [Roland] Allen. They shared this vision for astronomy at our university. In addition, David Hyland, a professor of Aerospace Engineering in the College of Engineering, gave support through his college to our program in the early days, and was instrumental in the initial negotiations for our participation in the GMT back in 2004. These were our advocates for the GMT telescope. We should not forget the backing of the whole department who have allowed our program to be carved out of the Physics Department, and agreed to add the nine faculty we now have in just ten years. We had many supporters, but I would like to call out the early support of Peter McIntyre, Chris Pope, Dimitri Nanopoulos, Bob Tribble, Bob Webb, Alexei Belyanin, Lewis Ford, Tom Adair, Don Carona, James White, Nelson Duller, and Ron Bryan. None of you know this, but it was Alexei Sokolov who led the first stages of the remodeling of the Munnerlyn Building. 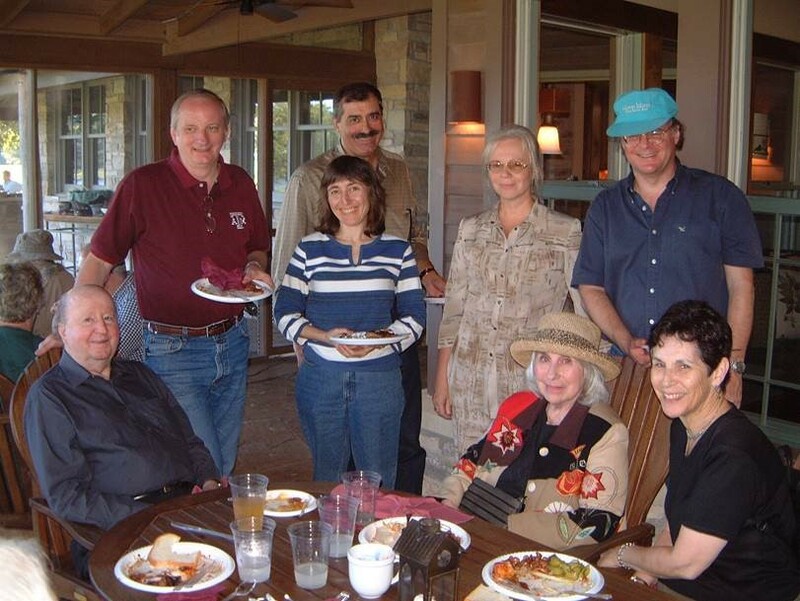 The Texas A&M Astronomy Committee convened the Freedman Committee of 2003: Wendy Freedman, Rocky Kolb, Tod Lauer, Charles Townes, David Cline, and Craig Wheeler. I bet you did not know that we had two Nobel Laureates who recommended the formation of the Astronomy Program! 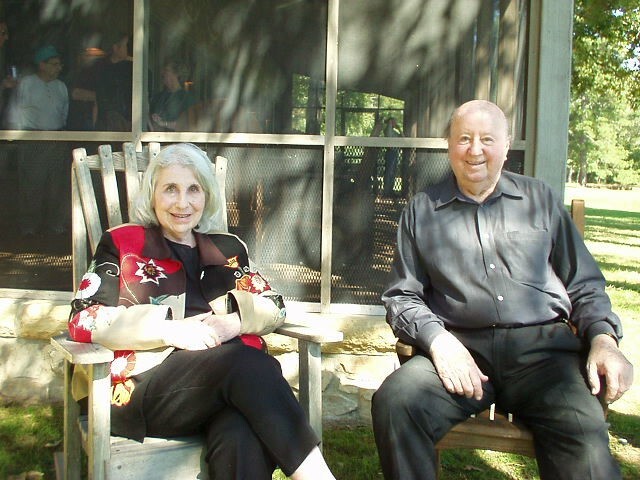 After the establishment in 2006, Townes came to A&M to celebrate the beginning of the Astronomy Program, as did Steven Weinberg, who also lent his support for our program. Although I don’t know, I bet it was Marlan Scully who convinced them of the need of astronomy at A&M. The Presidents of A&M — [Robert] Gates, [Elsa] Murano, [Bowen] Loftin, [Mark] Hussey, and now [Michael] Young — have all supported the creation of astronomy here at A&M. We also should thank George Djorgovski, Ed Olszewski, and Rocky Kolb for their time on the 2015 visiting committee who gave us a glowing recommendation for the degree program. A few other external astronomers helped us by writing letters and attending early conferences — Adam Riess, Bob Kirshner, Alex Filippenko, Brian Schmidt, and Geoff Marcy. We have been greatly helped by our friends at UT-Austin and McDonald Observatory, especially David Lambert and Dean Mary Ann Rankin, and Taft Armandroff continues their help for us. It goes almost without saying that it is Lucas [Macri] who shepherded the application over, what was it, six years? — whose absolutely stunning document detailing the need for astronomy at A&M convinced our betters in the administration, [the Texas A&M System Board of] Regents, and now the THECB. The word “stunning” was not mine; it was used by Allan Mitchie, who was the staff member of the THECB who coordinated and ultimately became an advocate for the application. Finally, the Mitchell Family — George and Sheridan — have supported our efforts in so many ways. 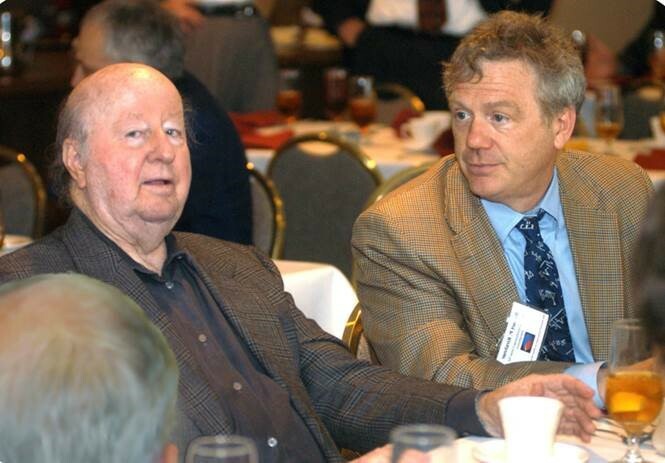 We would not have any program without the vision of George and unwavering encouragement from Sheridan. I am sure I have left out names, and I apologize in advance. P.S. 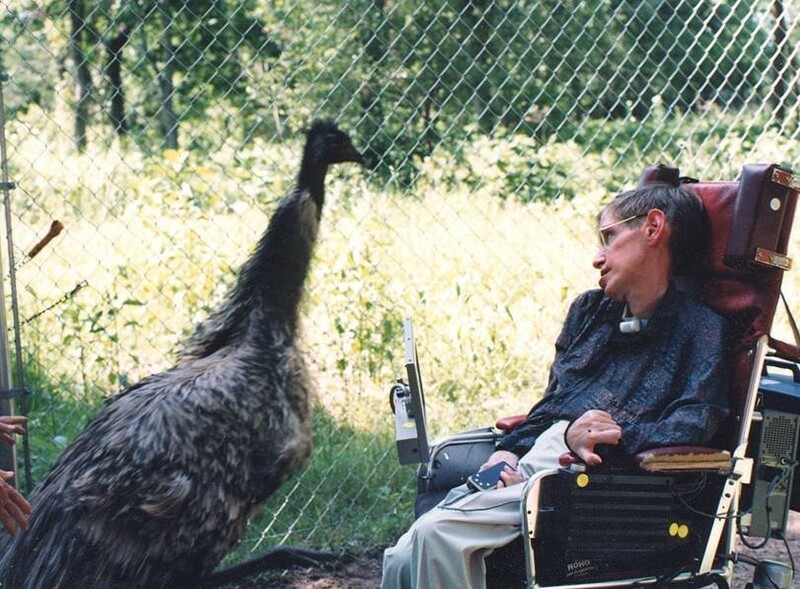 I attach photos from the panel meeting at Cook’s Branch in October 2003. George P. Mitchell ’40 and Robert Kirshner. (Credit: Edward S. Fry). This entry was posted in Astronomy and tagged degrees of value, expertise, lead by example, leadership, Nick Suntzeff, personal touch, points of pride, public education, relationships by Shana Hutchins. Bookmark the permalink. 25+ years in higher education marketing and communications, including ~15 with Texas A&M Science. Every day/project is a learning adventure. No rules; just write!